Complete Selcall-Telcall enabled Barrett 250 / 16 tap Mobile Antenna package. 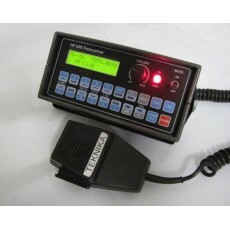 Refurbished Remote head BC250, programmed with up with latest ver.5 firmware. A choice of popular Aussie Land Mobile Network (4WD) channel packs such as VKS737 or HF Radio Club....ABC & weather receive channels fitted as standard. New 16 tap Bushcomm Adventurer 16 multitap antenna to suit . New heavy duty spring base with mount. Mounting hardware/New 5M coax lead/All interconnection leads/New marine grade fuse holder & fuse. Phone support to help with installation tips. 90 day back to base warranty. 4M of 6mm2 power cable. Bit of elbow grease to fit the system to your vehicle.